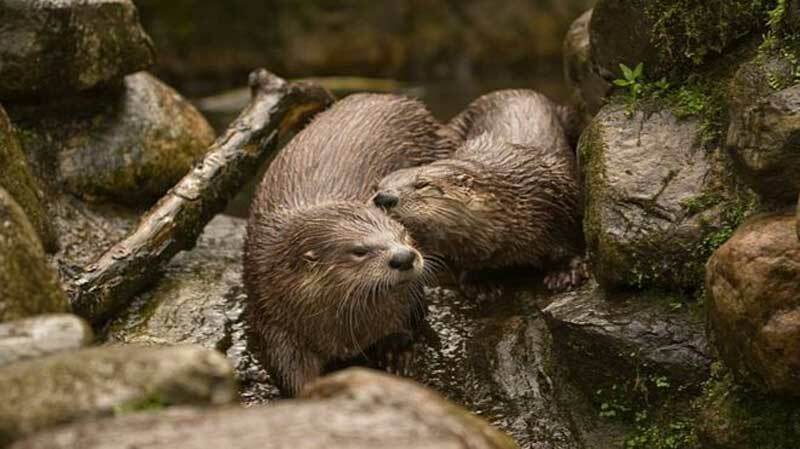 A North American River Otter named Lewis is said to be mourning the death of his "wife" Isla. 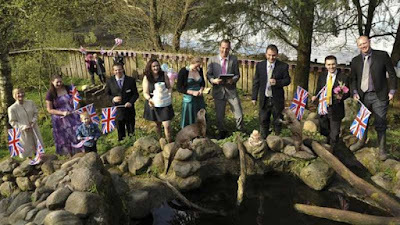 Staff at the Scottish Sea Life Sanctuary in Oban, Scotland, said the pair were "officially married" at a ceremony in 2011 after becoming inseparable. They said Isla, who first came to the centre in 2008, died this week aged 14, after suffering stomach problems. Lewis, who is 11, is now being monitored to ensure he is coping with the loss. Aquarist Farrah Minchin, who works with the animal car team, said Isla's loss was a "massive blow" for the team. She said: "Lewis and Isla arrived here at the centre together. Usually otters are quite solitary, they wouldn't normally pair-up for life, but when they arrived they very quickly became inseparable. They would groom each other, would look for each other and would sleep together." Isla was taken to the vet earlier this week after the animal care team noticed she was not eating properly and thought something could be wrong with her teeth or mouth. However, on closer inspection it was discovered that she had numerous health problems, including peritonitis and a shadow on her lung. Vets decided not to operate due to her age and the decision was taken to end her life. 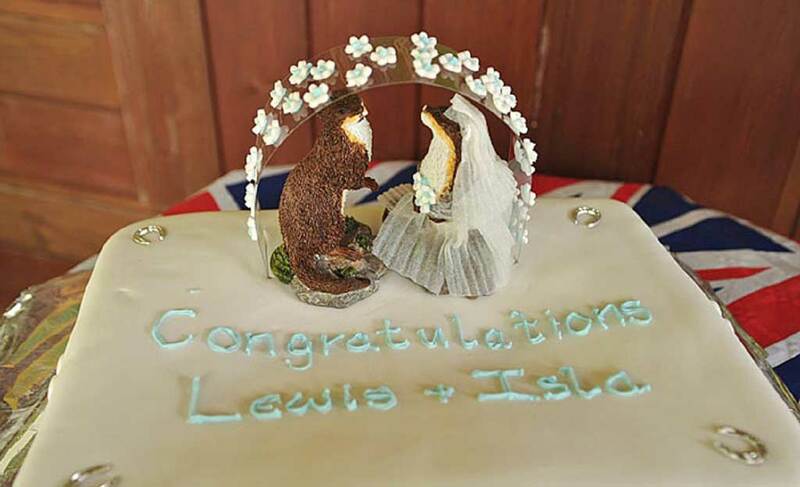 Ms Minchin said that since Isla's death on Wednesday, Lewis had been looking for his mate. She said: "He was at a loss. He was expecting her to come back and kept looking for her. He's still swimming on his own side of the pool and not on Isla's, but he does seem to be getting used to things." 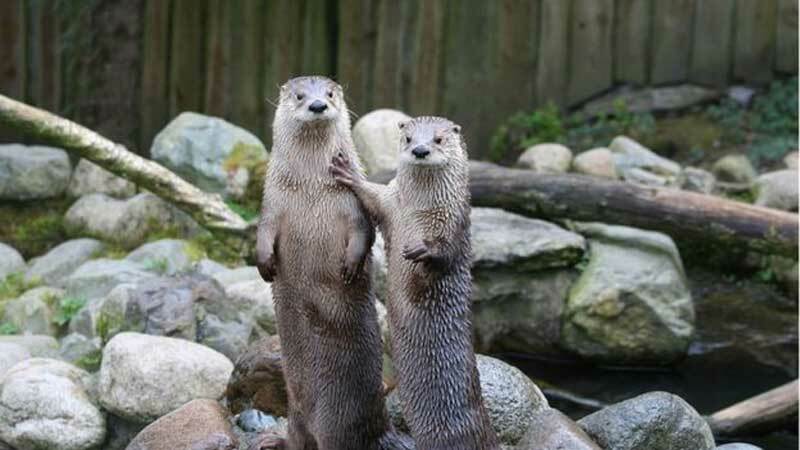 Because of his age and an otter's reputation for being aggressive, the animal handling team think it is unlikely Lewis will be paired with another otter. However, Ms Minchin said that if the right "docile female" came along, Lewis could make a new friend. Otters can live up to 21 years in captivity, but more generally survive for about nine years in the wild.